So much space, not used for anything. But are those worth keeping in such a massive and dominating way? haven’t there been studies of trees growing from ashes? the plants symbolizing how it is growing out of the tomb stone. a continuous beautiful family gathering where all the souls unite. Would the souls in the graves be able to see the sunlight that’s above them today? How can it be so beautiful here? reminds us about the person or their family. to continue their eternal life there. A body we can’t see, but we know is there. To be recognised, remembered, and honoured by others. How do bodies know that we are honouring them? Every person forms their own feeling when it comes to attending a cemetery. but to some it’s a place of grief. 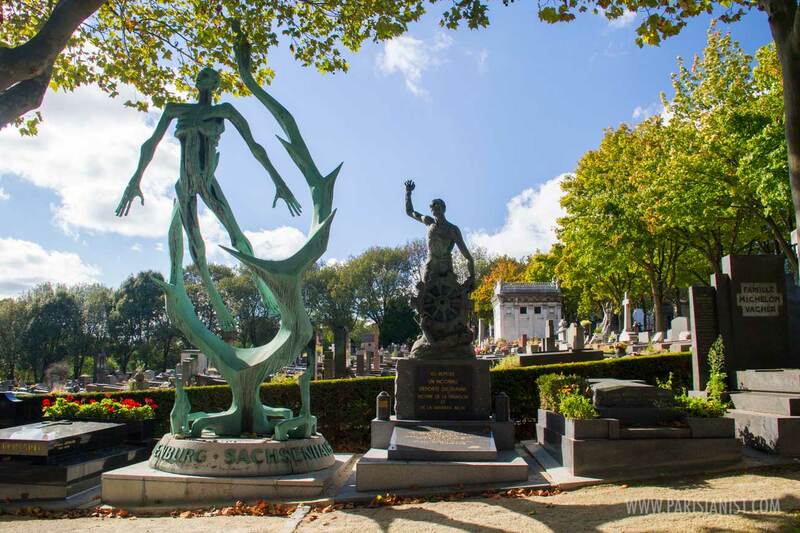 Making Pere Lachaise a place of memory, rather than a place of death. But hasn’t it become more of a tourist attraction? seems not as bright as pictured. next to “visited the Pere-Lachaise in Paris”. how does this identify a spiritual place of memory or grief? waiting for a sightseer to get the perfect angle on his picture. Is that what remembering and honouring the dead is about? Getting a photo of Oscar Wilde’s grave? that this is where you’ll lay? Not moving a bone while being posed on for an instagram picture? unable to get a single silent moment. Did you live for nothing? You continue to live through your family. Nature takes back from your body. Should we all just become a forest? Would that give us more peace? Would people walk on top of bodies? with barely any space in between graves. Do we even need to be placed in caskets? Should we grow a forest on our ashes as the soil? Not knowing who you are walking on; if anyone at all. What is the importance of the bodies after their loss? Are you important enough to have your body placed there for eternity? Well not eternity, but bought for 50, 30 or 10 years. Do you even want to be lucky? It seems immoral to struggle keeping your loved one unmoved from the cemetery. What is the importance of laying there? squeezing an increasing number of bodies into an already crowded space. while it being quite challenging to keep your loved one unmoved. Do you want to go through all that trouble? can there be a graveyard for more than one God? Could you even call this cemetery religious? yet end their presence on earth being praised by a priest. the last chance to say “goodbye”. the only way they know to let go. Or do they all turn religious once they are dying? all they have lived for. it makes it easier, more comfortable. waiting to be reunited in death. Is that the reason for religion? To take away the fear of death? in one place, one person, one family.